I’m going to get straight to the point: I love hearing from you. Yes, you, Ms. My Fro & I reader. As a blogger, sometimes you feel like you’re writing and posting posts to cyber space, never to be read or appreciated by another soul. But I’ve been getting quite a few verbal ‘I love your blog’s and privately e-mailed ‘Your blog has inspired me to consider going natural’s and it makes me think Thank God! I’m not crazy and just writing and sharing my hair experiences with…no one. There’s a woman, or two, or three who think what I have to say is relevant, or at least interesting enough to come back the next day to see what else I ramble on about. I love to hear from you. 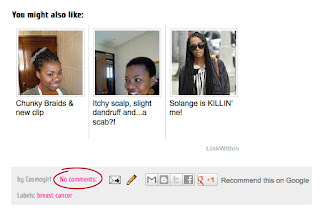 So please comment on a post you like, (or heaven forbid, don’t like!) share your thoughts on any issues raised, and of course share your hair experiences with me too. Have you tried my daily spritz recipe? Please tell me about it. Did the video for my semi fro hawk style video help you to rock a new style? Please subscribe to my channel, send me your pics. Or better yet, do a video response if you’re not too camera shy. 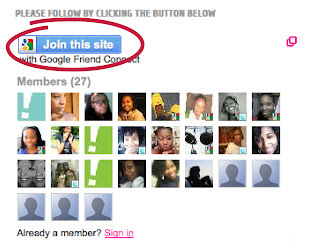 Now, some people have asked me how to subscribe and even comment on my blog. It’s very easy. Scroll down to the end of the post. 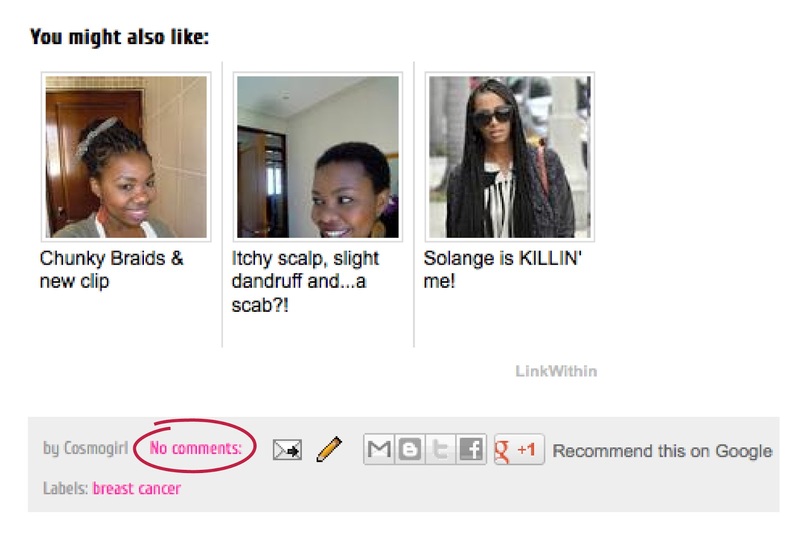 You’ll see either “No comments”, “2 comments” or “6 comments” etc. Click on that. Drop your line, or two in the box and then comment as: your google account, or wordpress or if you don’t have any of the accounts from the drop down menu, you can choose “Anonymous” and just leave your name at the end of your comment in the comment box. 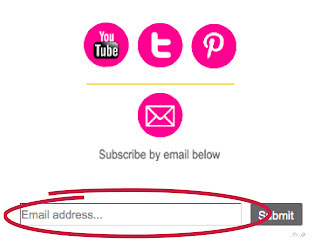 If you’d like to receive follow up comments on yours or that post, click the “subscribe by email” link below the box. Click that to post a comment or question that’s not specific to a post. Don’t want to miss a new post? 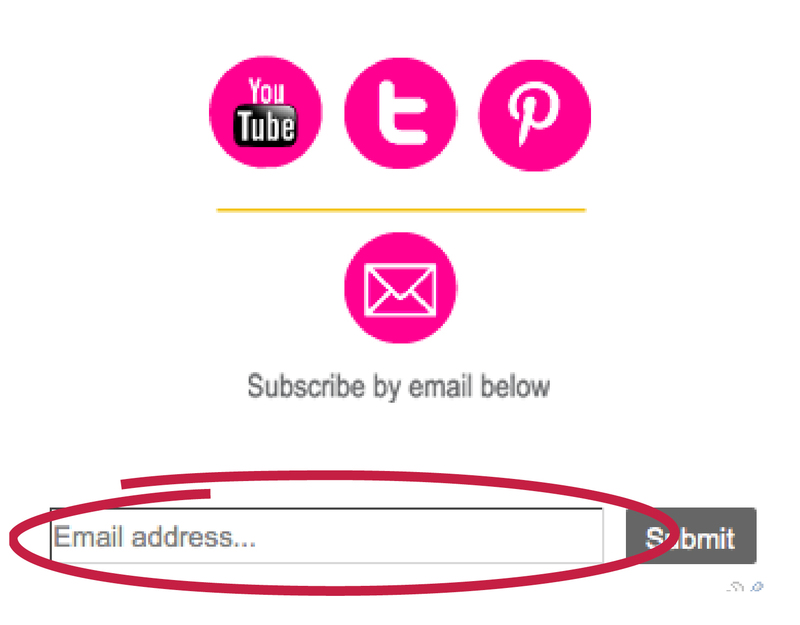 You can subscribe by typing your e-mail address in the box. 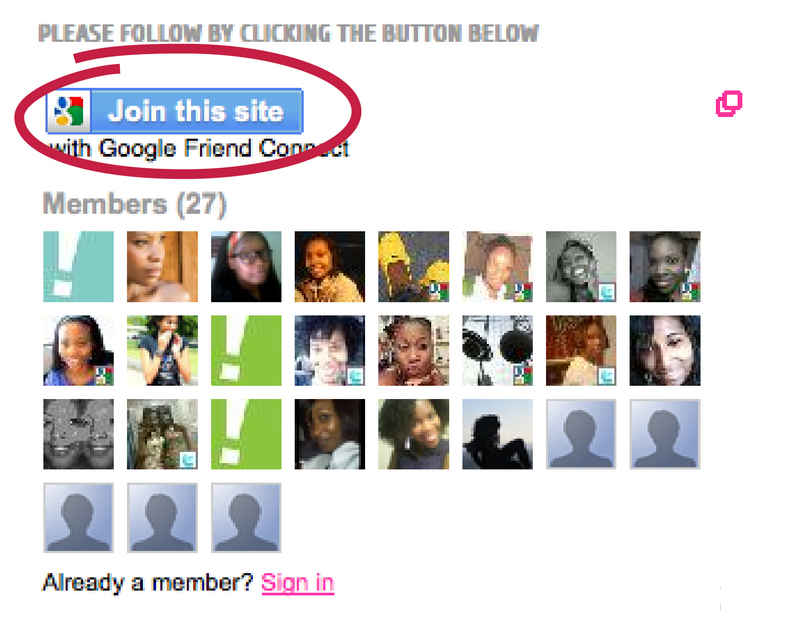 By doing this, every time there’s new content on my blog, you’ll automatically receive an e-mail telling you so. And thank you for reading, watching and sending much appreciated love. Please keep it coming. yay! 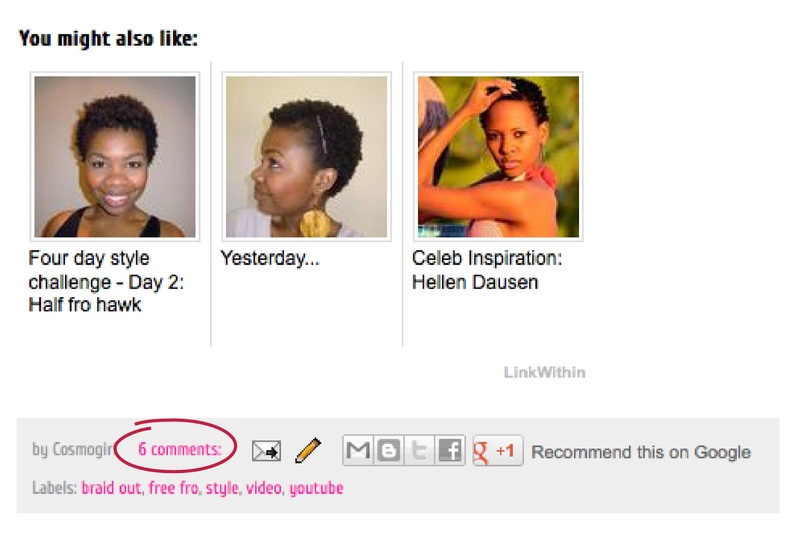 i know this is silly but my comment has been used as a snapshot in this blog post! 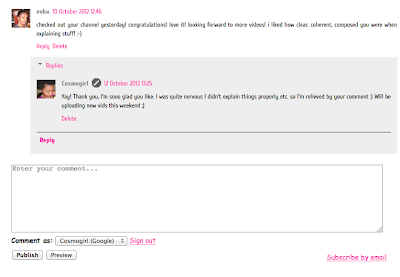 (the comment from evbu) i support what you doing…blogging, vlogging. i am also natural but the most i can do is document my journey in pictures so i am doing my part by supporting all naturalista bloggers who inspire the rest of us out there. great job! Lol, yes it has! You're my most active reader when it comes to commenting, so naturally I'm going to use you as an example 😉 It's great that you take pictures, it's invaluable in keeping track of your hair growth and length, especially for those of us who believe "our hair doesn't grow". Thanks so much for supporting!